As Weki Meki makes their comeback on October 11, 2018, with their upcoming first single album, “Kiss, Kicks,” their fans stay tuned for up to date information about their performance. The attention of K-netizen online is on this girl group with a quirky name. 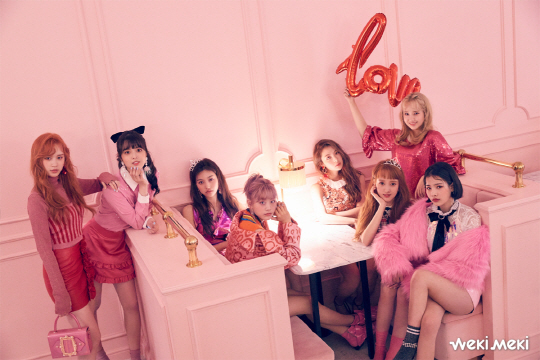 Weki Meki also released their second mini album at the early of this year with an introductory song, “Lucky,” an interlude of sorts, which functions as a short tease of what you’ll hear in “La La La,” and actually eases you into the next song. It has that high, loud energy from “I Don’t Like Your Girlfriend,” but the mood quickly shifts once La La La begins. In the meantime, when Weki Meki made their debut, some pointed out that their concept appeared to be similar to BlackPink’s debut theme. Basically, Weki Meki, which consists of 8 members, did an ‘888’ theme to promote their debut on August 8, at 8 p.m, in 2017. This promotional gimmick was close to what BlackPink did for their debut on August 8, at 8pm, 2016. At that time some BlackPink fans were mad at this alleged coincidence, writing online “I’m trying to understand this, but I can’t…we should be celebrating their one year anniversary, why is Weki Meki debuting on that day!.” Another user was on Weki Meki’s side, saying, “I think they’re going with 888 because they have 8 members. The 888 debut concept was set up accordingly. Practically, a teaser photo for their debut even had the numbers 888 shown on a broken television set, and avid K-pop fans had plenty of time to learn about the rookie group via its Twitter, Facebook, Instagram, Weibo, and KakaoTalk accounts. Better or not, Weki Meki is becoming a trendsetter for today’s teens and has been expanding their play in the K-pop scene owing to both the pro and anti-fandom. 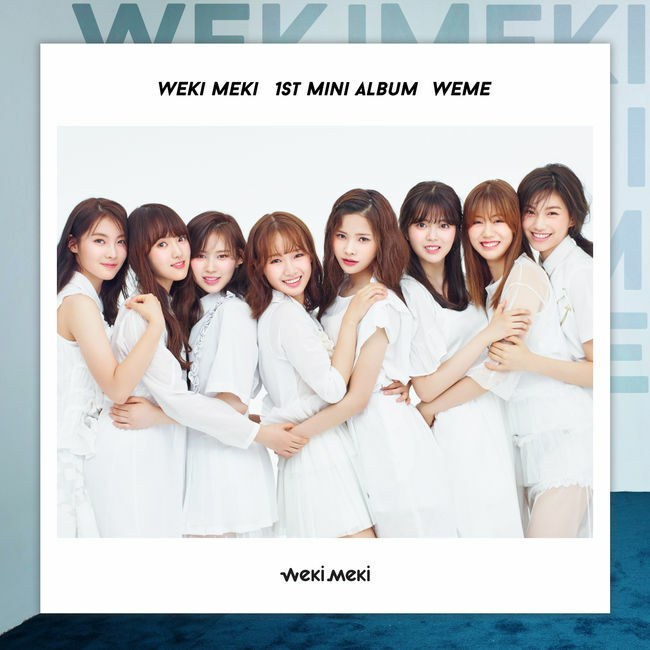 Weki Meki's first mini album.